The road crash victim student of Bangladesh University of Professionals Abrar Ahmed Chowdhury was laid to eternal rest at 4:00 pm on Tuesday. 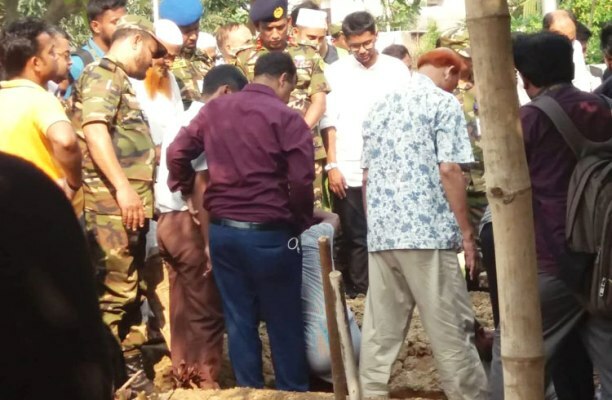 He was buried at Banani Graveyard in Dhaka, while his father Brig General (retd) Arif Ahmed Chowdhury, BUP Vice Chancelor Major Grenral Amdad-Ul-Bari, Dhaka City Corporation (North) Mayor Atiqul Haque, his family members, relatives, colleagues, friends and commoners was present on the ceremony. Before burial, 25 ADB Grade Mosque Imam Maulana Tajul Islam led the first namaz-e-janaza praying for the departed soul at ADB Grade Ground in the capital. Earlier, Abrar, son of Brig General (retd) Arif Ahmed Chowdhury, died in a road crash in Nodda area of Pragati Sarani in the capital on Tuesday morning. He lived with his own family at the residence at Malibug in the capital.